Here at Asbestos Removal, we care about the environment. We know that our work can impact the world, have an effect on the planet. We recognise the need to make sure that we’re not harming the planet just as we work to make sure asbestos doesn’t hurt you or your home. We only have the one planet, and it is everyone’s responsibility to make sure it lasts as long as possible. Our business is committed to making sure that our methods, equipment, and approaches are all sound and environmentally-friendly, and we use sustainable materials whenever possible. We begin with a commitment to recycling, reducing the impact our operations have in the immediate period. We work towards reducing the amount of waste our work generates, and in cutting down how much of that waste ends up in landfills and dumps. Our company goal is to recycle at least 80% of all possible materials on our work. However, we know that this is only a start. We take other steps as well. We are also committed to doing our work and conducting our business in a manner that minimises the impact we have on sustainability. To accomplish this, we have focused on taking on the industry’s best practices in all of its operations. 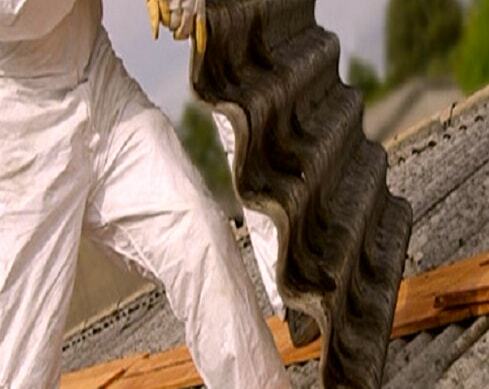 Asbestos Removal is done according to all applicable laws and regulations. We comply with all regulating and statutory requirements, not only to our specific tasks but any environmental concerns. If our client has any environmental issues or related requirements, policies, or procedures, we make every effort to comply and manage these concerns. As we work, we apply the techniques of waste minimisation. We reuse and recycle what we can, as well as make sure all of our equipment meets standards for reducing pollution and other adverse effects, whether from asbestos or anything else. We educate our employees. We train them to improve their awareness of environmental issues, to build up skills and knowledge bases that help them reduce their waste and improve environmental efficiency. Our system allows for the identification of any failure to comply with issues. We take all necessary action to improve the performance of our team or equipment, making sure the impact is as small as we can manage and finding ways to improve. We make sure that hazardous materials found – asbestos and anything else we encounter – are correctly handled. They are contained until we can dispose of them properly. From start to finish, the process is compliant with all applicable requirements, regulations, and standards. We also conduct monitoring and evaluation of environmental performance for suppliers and subcontractors. We have a robust communication system in place to make sure that our partners do not violate our ecological protocols. We make an effort to use only sustainable products when possible. With every step, we make sure that everything involved with us has a minimal impact. We care about the planet as much as we care about the efficiency of the job. Thus, you can feel secure in knowing that we bring the best possible effort in both those fields without sacrificing one for the other.